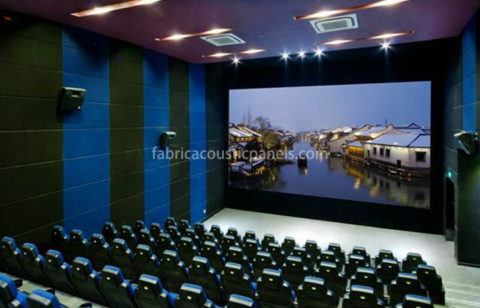 Reverberation or reflection of the sound can be a real problem. Whether the employee is calling the customer, the student needs to have a clear understanding of their lecture, the restaurant needs to be quiet, or the information needs to be heard in the church sanctuary, fabric covered walls can be an attractive and cost-effective answer. 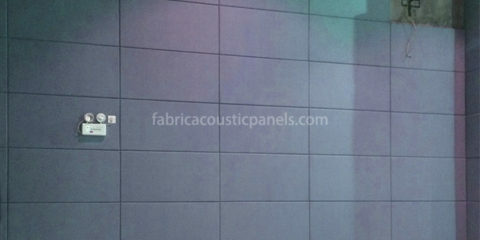 Our fabric covered wall panels are excellent solutions for sound and noise control. They have a wide range of sizes from 600×600, 600×1200 to 1200x1200mm and every size in-between. 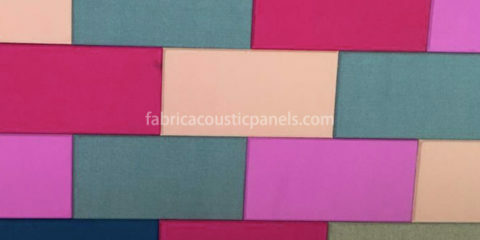 All of our fabric covered panels are wrapped in high-performance acoustic fabrics, so that they are not only acoustical, but also durable and sustainable. Our fabric panel wall looks great and is built to last. Our fabric covered walls work well in echo reduction. Even a few fabric panels on walls can have significant effect. 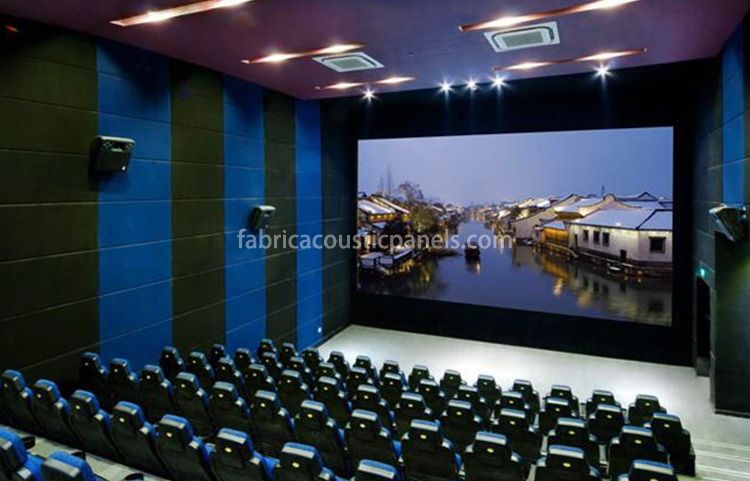 For larger applications in noisy environments, consider using fabric covered ceiling, as known as acoustic baffles. 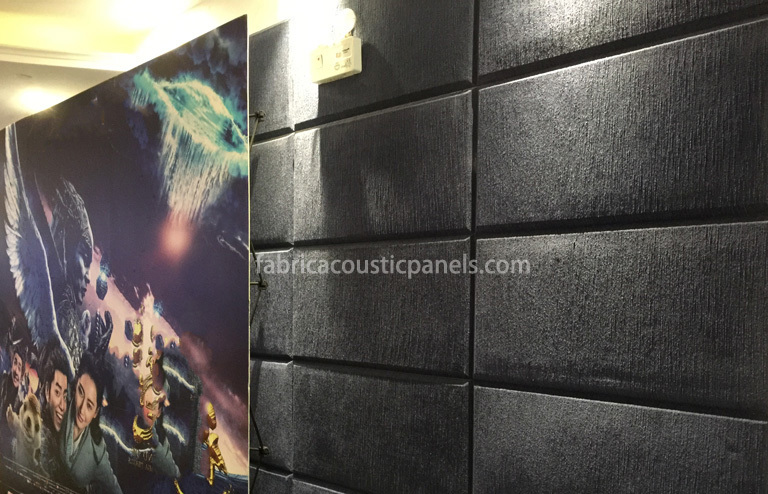 The acoustically transparent fabric that allows the sound to pass through and get absorbed by the glasswool core inside. Glasswool absorbs sound instead of reflecting sound, reducing echo and reverb, so that it is easier to hear what is being spoken or played. 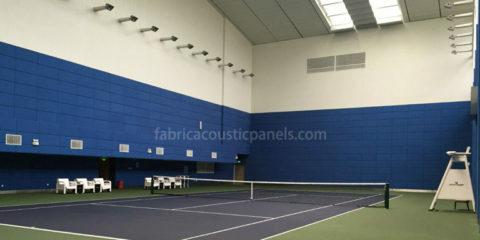 The shock-proof frame keeps the acoustic fabric panels for walls together and protects the edges. The fabric is glued to and gripped by the frame and glasswool inside reducing the impact damage to keep the acoustic panel look perfect. 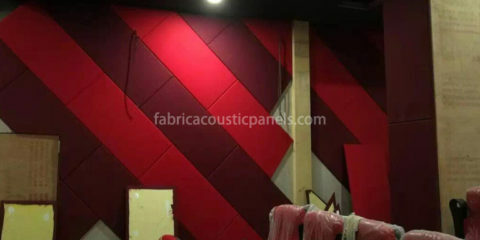 Our fabric covered walls are widely used for fabric wall treatment in churches, auditoriums, office buildings, universities, restaurant, gymnasiums & multipurpose room, office space, restaurants and nightclubs, training rooms, etc.